"You tried, you failed," he begins. "I’m hearing you wanna try again, this time I’m not gonna play with you, any of you." Though he's not exactly calling out names, the implication is heavy. After all, the feud was never properly resolved, and there is bound to be some lingering animosity on either side. Consider that Drake bowed out of contention, ostensibly in the name of sportsmanship, as the whole debacle threatened going "deeper than rap." 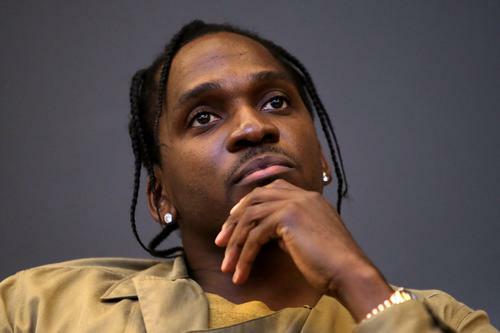 One has to wonder what exactly Pusha has been hearing, as it's clear that something has compelled him to speak out. Drake and his camp have yet to openly provoke the legendary lyricist, so perhaps a little bit of behind-the-scenes machinations have been transpiring. While many considered this beef to be over and done, it's likely that fans would welcome a renewed visitation of the beef. Clearly, Pusha has already begun salivating at the thought.